What are the maintenance recommendations for single ply flat roofing systems? Home Blog What are the maintenance recommendations for single ply flat roofing systems? 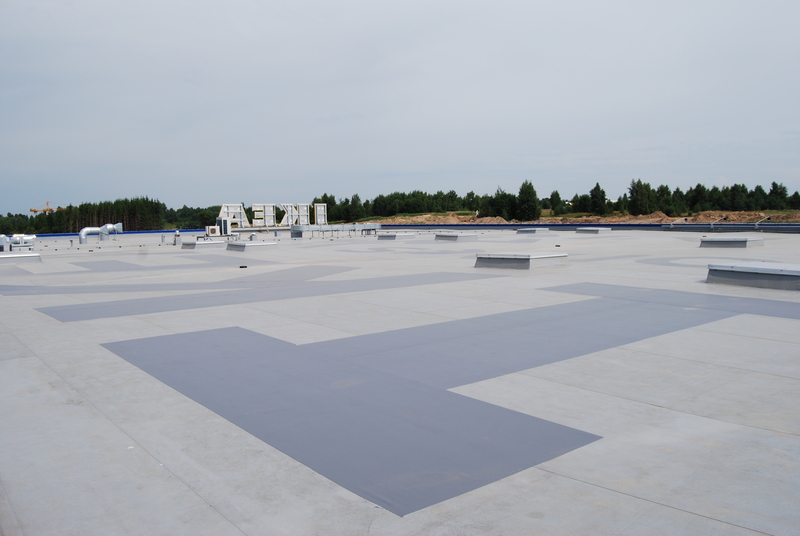 Maintenance of a single ply flat roofing system is essential for achieving ongoing performance and life expectancy, and ensuring the validity of the roof system guarantee. Appropriate care starts with basic protection against damage, whether by point loading, solvent spillage, or sharp objects such as nails, fixings, trims, glazing panels etc. A roof must not be used as a storage area, and any materials used by following trades must be cleared on completion of work. Cleaning should be done using clean water (a mild household detergent may be added) and a soft broom, and hosed with clean water upon completion. The local authority should approve the use of any detergents that may wash into the drainage system. How often should I inspect a single ply flat roof? Functioning roof outlets and no blocked grates. Intact waterproofing around rooflight kerbs. Perimeter upstand flashings with secure metal cappings. Expansion joint flashings with secure cappings. Walkways and roof access points, ensuring nothing has been displaced and that walkway membranes or concrete paving slabs are in good condition. Flexible sealants, to ensure they are in good condition and still provide appropriate waterproofing. The cleaning of any algal growth or silt build-up using a soft-bristle broom and clean water. Access to the roof must be under supervision of the Building Manager or the person responsible for building maintenance, and with the instruction to use the dedicated access/walkways provided. The health and safety procedures of the site or the individual roof must be fully communicated, and where any working other than light foot traffic is required, adequate protection must be provided. When should I contact the manufacturer or installing contractor? Any additional waterproofing works or any proposed alterations to the flat roofing system (such as for further penetrations or fixings) should be notified to the manufacturer or the approved contractor prior to being carried out. Similarly, they should also be notified of any accidental damage to the single ply membrane in order that a practical solution can be agreed and any remedial actions taken. Failure to make contact with the manufacturer could invalidate any guarantees. Self-adhesive tape can be applied to the surface of the membrane as a temporary measure to prevent water ingress. Under no circumstances should a bituminous-based tape be used. Find out more about the technical support offered by IKO Polymeric.